Patricia “Golden Girl” Lynne pens her many thoughts and ideas under “So Now You are 62!” These posts revolve around relationships with her adult children, her daughter-in-law and retirement. Patricia started writing classes after retirement – she was a court reporter. She enjoys writing poetry and is the mother of three amazing adult children. 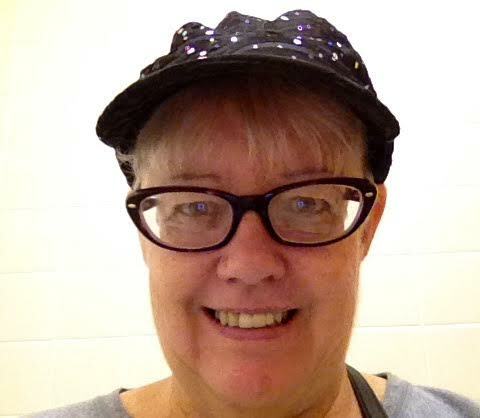 Her work has been published in Famous Poets, Echo’s and 50 Plus Magazine, as well as several anthologies. She also self-published her first poetry collection under her pen name, Patricia Lynne. Patricia has also offered to help distribute our magazines in her home state of Wisconsin (Thank You, Patricia!) and she has been asked to speak at a Writers Retreat next year on the subject of blogging for a magazine. How many times can we say it? We are BLESSED!!! Patricia’s insights offer us an abundance of resources, tips and thoughts featured under “So Now You’re 62” and may also appear under “Family Fun”. Patricia also brings us the darling blogs entitled, “The Adventures of Mister”.